Anmol Rodrigous was curled up on her mum's lap while being breastfed when her evil dad Ashraf attacked the pair, killing her mother Annu, and leaving Anmol disfigured and blind in her left eye. He is said to have carried out the sickening act to get rid of both Anmol and her mum for giving birth to a 'girl'. But 23 years later, Anmol has not only overcome the physical and emotional pain, she has also become an inspiration to many women like her. Anmol, which means priceless in Hindi, unabashedly claims to be the happiest girl in the world. Even though an orphan, Anmol proudly lives by herself in Mumbai in western India, arranges funds for her ongoing reconstructive surgeries and faces people with an enviable confidence. 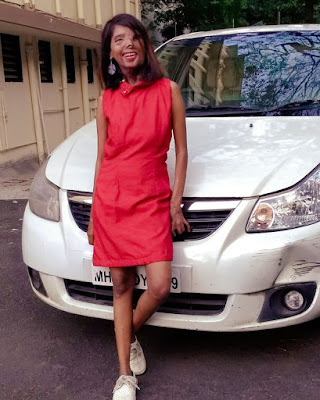 Once her melted face, burnt neck, one eye and hands are overlooked, Anmol comes out as a true fashionista, a trained salsa dancer and a creative brain for an online youth channel. 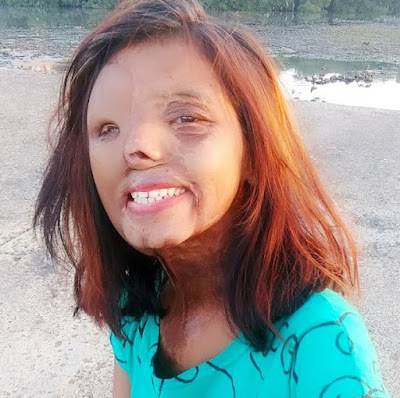 She is also an incredible inspiration for acid attack survivors and runs an NGO Acid Survivor Sahas Foundation, through which she has helped 20 such women getting employment and organised a lavish wedding for a friend. Anmol says: "I love my life as it is. Not even once have I felt that I am different. This could also be because I only remember seeing myself with one eye and wrinkled, burnt skin. "I have very happily accepted myself and this has given me hopes and confidence to keep moving in life." Anmol has an ultra positive attitude and demeanour which attracts whoever she meets. She has nearly 25,000 followers on Instagram where she keeps posting her latest dance moves or photoshoots. 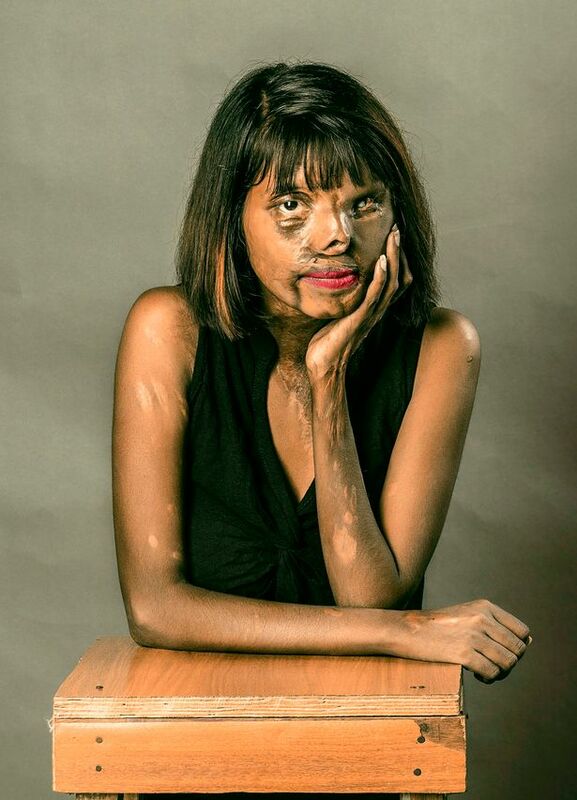 But her story busts the belief that acid attacks are only a result of a jilted love. Anmol was left to die by her father Ashraf after the attack but neighbours had rushed her and her mother to hospital. While her mother Annu succumbed to injuries, Anmol was under care of doctors and nurses for five long years. Once her wounds healed to a certain degree, she was handed over to Shree Manav Seva Sangh, an orphanage where she was raised up among other children and given education. She said: "My whole life was spent at an orphanage in Mumbai. "I am told that I was only two months old when my father had attacked my mother and myself with acid. "While my mother died due to the burns, I underwent treatment for five long years at the hospital. The doctors and nurses were taking care of the expenses and medicines. 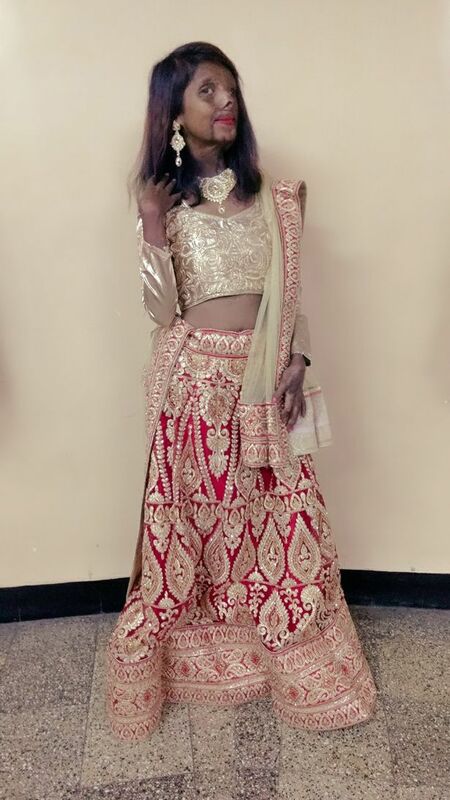 "As I improved a little the doctors handed me over to Shree Manav Seva Sangh where I was raised up with love and affection." But Anmol confesses that growing up with a burnt face was not easy as was constantly reminded of the terrible attack.